It Was a Titanic Effort but Assure Services delivered top quality Kitchen Duct Cleaning in the end. Titanic Belfast opened in March 2012. Part of a £97m Titanic Quarter project, the iconic building has welcomed more than 2 million visitors from more than 140 countries, making it one of Ireland’s top tourist attractions. Titanic Belfast is the world’s largest Titanic visitor experience and a ‘must see’ visit in any tour of Belfast and Northern Ireland. It is located in Titanic Quarter, right beside the historic site of this world famous ship’s construction. Housed in an iconic 6-floor building, this state-of-the-art visitor experience tells the story of the Titanic, from her conception in Belfast in the early 1900s, through her construction and launch, to her famous maiden voyage and tragic end. With such a pedigree it was important that when it came to the decision to award the Kitchen Duct Cleaning Contract for the restaurants in the complex that the chosen supplier was one that could be relied on 100%. That company was Assure Services Northern Ireland. 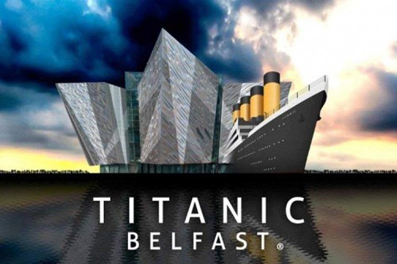 Damien Martin, Managing Director of Assure Services, commented: “Titanic Belfast is one of a kind in Ireland, a visitor attraction with bespoke facilities that include a complex in-car ride experience, modern technology throughout nine galleries and provisions for more than 100 staff. With hundreds and sometimes thousands of visitors daily it is important that the kitchen duct cleaning is completed absolutely right. We at Assure Services provide the most advanced Kitchen Duct Cleaning services available within the industry today – all across Northern Ireland. We are proud to be awarded such a prestigious contract by Jim Christian and his team at the Titanic Building which is proof that young and dynamic companies continue to turn to us at Assure Services to provide high quality cleaning of their Kitchen Ducts and work out of hours to suit their Kitchen Duct Cleaning needs. Assure Services is a Support Services company based in Ballymena. With over 15 years experience in the industry, we pride ourselves in our experienced professional workforce and have a thorough understanding of client requirements. Our aim is to help you smoothly run and develop your business while we take care of your support services requirements that include but are not limited to : Cleaning services such as Kitchen Deep Cleaning, Power Washing, Chewing Gum Removal, Window Cleaning, and Outdoor Services; and Duct Cleaning Services such Duct Cleaning, and Air Duct Cleaning. Whatever service you require, you can count on us to provide the right service for you.